The narrative talks about why research on internal migration is important and also about the research outputs that come out during this process. The theme focuses on the trends and patterns of in-migration to and out-migration from Kerala. Through this theme we are trying to highlight the problems faced by internal migrants during the electoral process. The Journal is drawn from different states and cities, the papers provide a micro-level view of the life and decisions of migrants at both the source and the destination. International Womens Day was organized by PEPUS on 8th March, 2018 & programs were organized in the project area. International Women's Day programmes were organized in Aanapur,Korari & Karimuddinpur villages of Kaudihar block, Dist. Blog by Nivedita Jayaram and Sangeeth S, Centre for Migration and Labour Solutions, Aajeevika Bureau. The Union Budget announced a fund for Affordable Housing, and committed to provide assistance for building 3. Blog post by Nisha Bharti Aajeevika Bureau International Migrants Day was celebrated at Aajeevika Bureau�s Netaji Nagar office on Sunday the 17th of December, when some workers have a day off. This first of its kind event was attended by more than 30 workers. 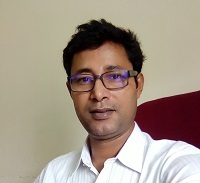 Tushar K. Nandi and Saibal Kar are Assistant Professors at Centre for Studies in Social Sciences, Calcutta. In this interview they say that short-term migration can increase intergenerational occupational mobility. There has to be policies from the government to enhance the skills of internal migrants. The different types of skills the short term migrants acquire from different jobs can be utilised to break intergenerational occupational trap. The data is given for eight states mainly Maharashtra, Gujarat, Delhi, Karnataka, Kerala, Chandigarh,Goa, Madhya Pradesh. The data is segregated on the basis of gender. it gives information on number of people migrated from all parts of India for employment to above mentioned states. This information gives details on migration pattern. Explore SHRAM Data Hub for more info.